Here at the Circus Arts Institute (CAI), we are proud to have an instructional staff that are some of the most highly trained in Circus Arts Safety and Spotting in the industry! Carrie Heller, our Founder and Executive Director. ​Read more about Carrie here. Hilary Riall is our lead trainer who can teach every apparatus. Hilary also assists with Circus Arts Therapy® groups. She's been with CAI since she was 6 years old! She grew up in the circus and says that she loves everything about the circus - from the flying, to the spinning, and all the fun. Her current favorite apparatus is the hammock. Since 1989, Steve Seaberg has been performing acrobatic magic at Carrie’s circus classes. His favorite circus activity is hand balancing. He dazzles audiences as a circus artist at The Imperial Opa circus when he is not teaching at CAI. Lauren Taglialatela, PhD teaches Circus Arts Fitness® and assists with Circus Arts Therapy® groups at CAI. Her silly personality fills her classes with fun and laughter. She has been clowning around with Carrie since 1996, and her favorite circus activity is the Spanish Web. For Lauren, circus arts is an exciting escape from her everyday life where she is a Professor in the Department of Psychological Science. 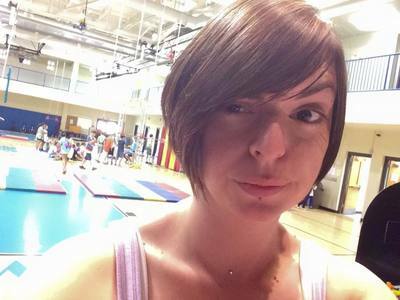 Lauren’s son is an acrobat-in-training who loves attending CAI’s fitness classes. In conjunction with Carrie Heller, LCSW, RPT, Lauren co-authored the article Circus Arts Therapy® Fitness and Play Therapy Program Shows Positive Clinical Results, which can be found in the International Journal of Play Therapy, April 2018 edition: http://dx.doi.org/10.1037/pla0000068. Caroline Cunningham has been working magic at the circus since she was a teen; she especially enjoys the imaginative aspect of circus arts. She teaches Circus Arts Fitness® for adults and kids, and her charismatic nature makes her a particularly good fit for children. Caroline’s daughter is following in her acrobatic footsteps and takes weekly classes at CAI. Strongman Michael Edwards juggles many different circus talents. His favorite activities are unicycle and trapeze, and when he is not teaching or assisting with Circus Arts Therapy® groups at CAI he is a face painter and student. 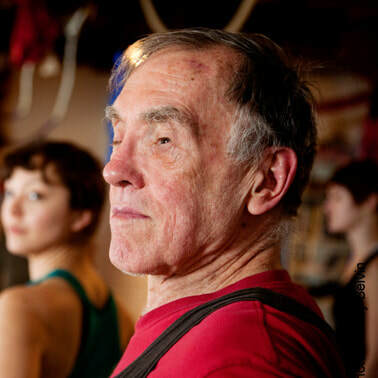 He has been working with Carrie since he was a teen, and his favorite part of practicing and teaching the circus arts is the amazing sense of accomplishment he and his students feel when they master a new circus skill. 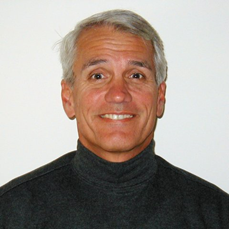 Rob Pegel has been with and teaching at CAI since 1989. He loves the trapeze, and his favorite things about CAI are interacting with people and using the equipment. Rob teaches Circus Arts Fitness® classes. Katina Thompson, MS (in collaborative education with a focus on Autism Spectrum Disorder [ASD]) has been teaching at CAI since 2009. She assists in the Circus Arts Therapy® groups and teaches hoops, beginner trapeze and Spanish web. Outside of CAI she is a Neurodevelopmental Teacher for children with ASD. She has a wonderful imagination, and enjoys hoops but is also falling in love with the trapeze. Judah Andrews is a fabulous performer. He has been practicing the Circus Arts since 2001. He excels in juggling, balancing, partner balancing, and unicycling. You might catch him showing off his skills at a Rennaissance Fair anywhere in the country. ​He's one huge personality and has the talent to match! Alan Romanchuck spent four years with the FSU Flying High Circus and performed in numerous circus acts. He is a retired banker, and loves the fact that CAI allows him to relive certain aspects of his youth. He says that CAI has motivated him to get in better physical shape and to truly enjoy helping others do the same. 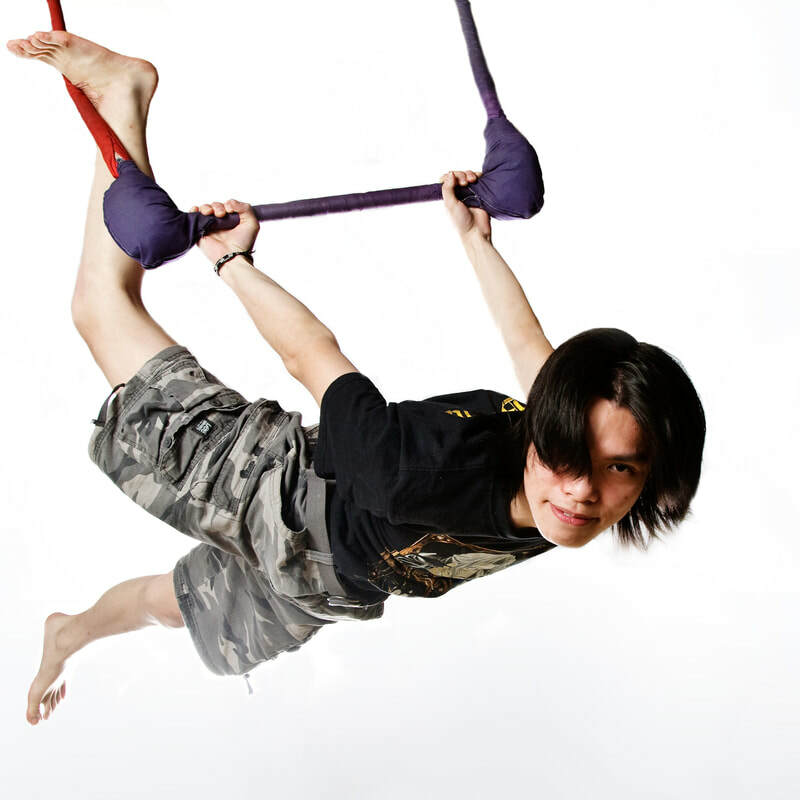 ​He teaches Juggling, Balance Boards, and Tightwire, but says his favorite "apparatus" is hand balancing! Meredith Gordon is a clown, actor, and musician who loves using theatricality to create performances that make strong human connections. He freelances as a circus artist who juggles, stiltwalks, clowns and generally acts a fool. In 2000, Meredith became a medical clown with the Big Apple Circus Clown Care Unit and served as the supervisor for the Atlanta Clown Care Unit. 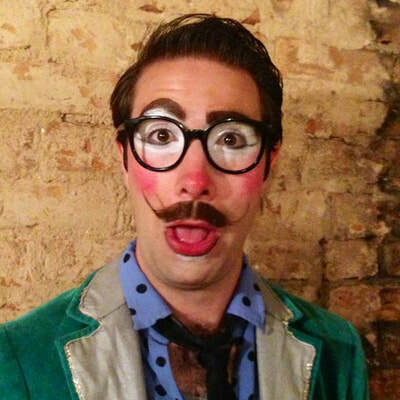 He is a founding member of Humorology Atlanta which continues the tradition of medical clowning. He began working in social circus as a coach with Cirque du Monde in 2001 where he met Carrie Heller. Meredith began teaching at the Circus Arts Institute in the summer of 2018. His website is SqueezeTheClown.com. ​Not only is Hilary Riall is our lead trainer, she's holding it down in the office too! Soooo flexible! Audrey Cunningham started circus classes when she was 4 and hasn't taken a break yet! Currently her favorite apparatus is silks, but she's trained in all of the apparatus. As she's grown up in the Circus, she has helped with the CAT groups and with the younger kids classes. She especially has a soft spot for helping children with special needs. She performs with the Circus Camp Senior Troupe, is a big help with Circus Camp and is a Counselor In Training! She hopes to include circus in her future, whatever she does! Jacosa Kato had a remarkable 24-year history with Carrie since she began studying Circus Arts at age 4. Jacosa loved fitness, performing, and the boost of self-esteem that comes from learning and teaching the circus arts. Jacosa was an amazing acrobat and taught just about everything at CAI. When she was not busy teaching at CAI, Jacosa was an Aerial Director at Circus Camp and the Imperial Opa Circus, and the Program Director at Opa for kids. Mary Ann Hart and CAI Founder, Carrie Heller, had an amazing 24-year history together, since the time when Carrie was teaching at New Moves Studio in Little Five Points. Her favorite apparatus was the trapeze, and Mary Ann was also a professional mime, clown, puppeteer and Nurse Practitioner "Very Merry” for the Big Apple Circus Clown Care. She loved that Circus Arts made her stronger and more able to face challenges, and she particularly enjoyed working with other people. She would describe herself as "impish,” and although she was on temporary leave from CAI, she always planed to continue teaching all aspects of Circus Arts when she returned, including juggling! Kasumi Kato has been a fan of the circus since the young age of one year old, when her sister Jacosa started learning circus arts. Just like her sister, Kasumi started taking lessons when she was just four years old. 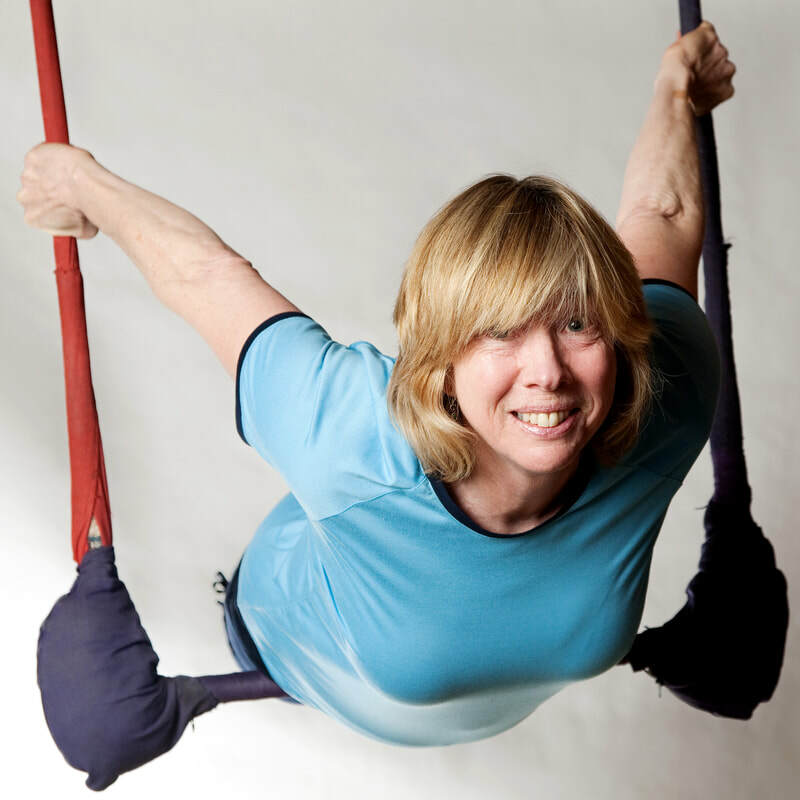 She teaches fabric, trapeze, Spanish web, corde lisse, and acrobatics at CAI, and when she’s not training teachers at CAI she is a Circus Camp Aerial Manager at CircEsteem in Chicago and a guest Instructor at other Atlanta studios. Her clownish personality makes her classes lots of fun, and she loves the team-work, strength-building, artistic elements, and self-confidence that are all a part of classes at CAI. 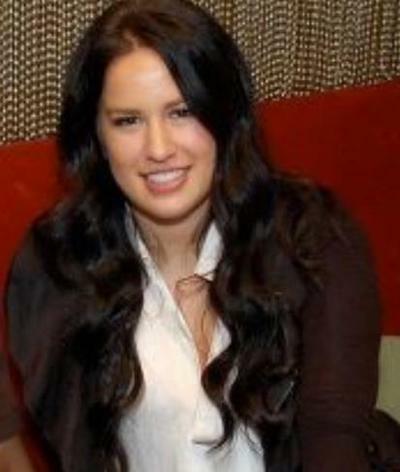 Morgaine Rosenthal began training with Carrie in 1990 in Atlanta. As she grew up, she quickly realized that circus arts would be a lifelong passion. 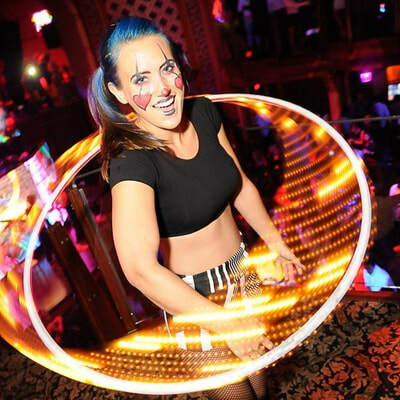 She attended the collegiate circus program at Florida State University, and with the encouragement of her parents and Carrie, applied to the Professional Aerial Program at The San Francisco Circus Center in 2007. Morgaine is currently performing with Cirque Italia and we are so proud of her!! ​Morgaine and her partner, Dee Fernandez, are pictured here performing for Cirque Italia.